In the context of this website wall decorations and wall décor are not to be confused with wall decorating. 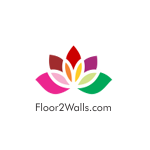 Wall decorating tends to be the broader treatment of your walls in terms of the overall finish and colour. On the other hand, wall decorations, often referred to as ‘wall décor’ relate to independent artworks or any ornamentation that you dress your walls with after the basic decorating is complete. Flooring is major factor when it comes to design your living room. How you do the floors to make impression on guests. Choose floor that meet your requirements of design, color and material. Flooring should be comfortable to use, easy to maintain, durable and cost effective. With many flooring options you need to know which is best suited to you and your house interior. Here is list of some flooring options for Residential & Commercial. Interior mean a design that fascinate incomers at home, office or shop. He feels pleasant at each and every point. Interior can be define in many ways like design of walls, floors, furniture, ceiling designs, and each and every part of that place. If we talk about bedroom where person feel relax, so as with children room in other way. So interior play a big role in our present life. .
You may have built or bought the most luxurious modern house but no matter what your interior design is there is one thing that you and your guest will see before they enter your home – and that is the external surroundings. And that is why the elegant landscape design has such an important part for creating the completeness of our homes. 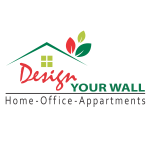 Choose designs for walls, floors, rooms, bathroom and more for your home, shop and offices. You can change into new look. Options will be available for you like i.e. wooden film, Decorative Glass film, wall stickers, wall art design, wall paper, wooden flooring and more. Copyright ® 2013 Floor2walls.com. All rights reserved.